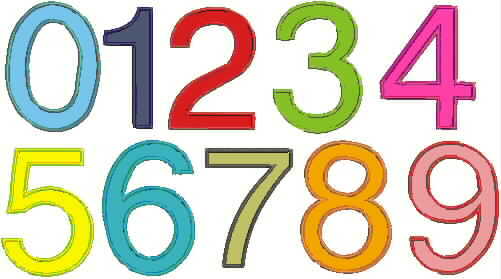 Numbers appliques in 2 sizes. 20 files total! 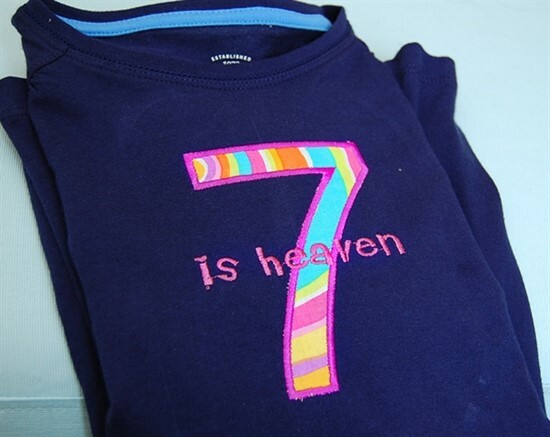 Satin stitched number appliques, great for home decor, birthday t-shirts, banners, etc. 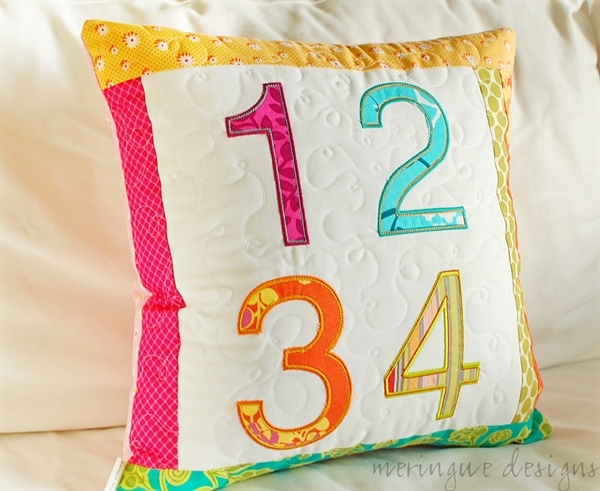 New to applique? See my blog post on applique. 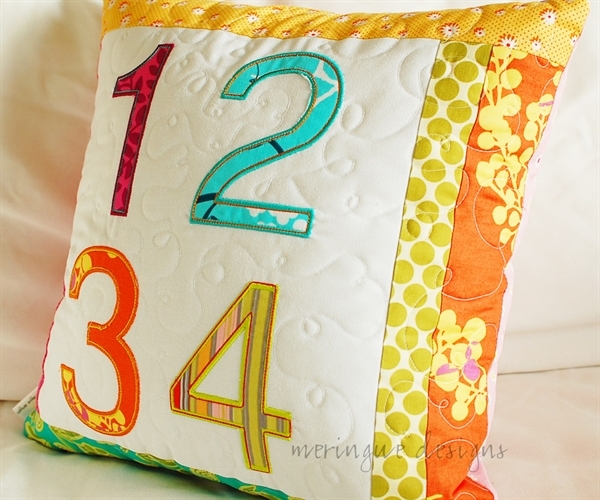 *Please note: in the pictures of 1-2-3-4 pillow I have an outline stitching on those numbers that does not exist in the files you are purchasing.